Serving House Books, 9780997101065, 224pp. 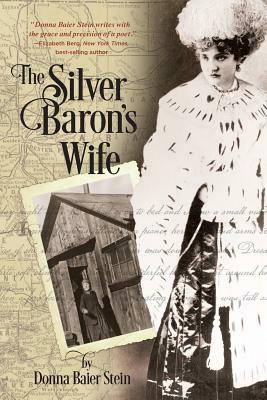 The Silver Baron's Wife traces the rags-to-riches-to-rags life of Colorado's Baby Doe Tabor (Lizzie). This fascinating heroine worked in the silver mines and had two scandalous marriages, one to a philandering opium addict and one to a Senator and silver baron worth $24 million in the late 19th century. A divorcee shunned by Denver society, Lizzie raised two daughters in a villa where 100 peacocks roamed the lawns, entertained Sarah Bernhardt when the actress performed at Tabor's Opera House, and after her second husband's death, moved to a one-room shack at the Matchless Mine in Leadville. She lived the last 35 years of her life there, writing down thousands of her dreams and noting visitations of spirits on her calendar. Hers is the tale of a fiercely independent woman who bucked all social expectations by working where 19thcentury women didn't work, becoming the key figure in one of the West's most scandalous love triangles, and, after a devastating stock market crash destroyed Tabor's vast fortune, living in eccentric isolation at the Matchless Mine. An earlier version of this novel won the PEN/New England Discovery Award in Fiction.